Heaven’s Devils falls somewhere between the two extremes. It is a novel that is sometimes exciting and compelling, but for the rest of the time it seems rushed and clichéd. The back-story of Jim Raynor and Tychus Findlay is something that Starcraft fans have been waiting a long time for, but I don’t think that this will completely satisfy them. The book’s strength is in its battle scenes. Dietz’s talent for the military action is obvious here and the story is very exciting when the characters are in dangerous situations. Dietz seems to know the universe well, throwing in numerous references to units and places from the game, without feeling gratuitous about it. The strategy feels believable, and the descriptions of the hardware used by the marines adds a sense of realism to these sections.If the entire book had been as interesting as the battle scenes, it would have been a fantastic read. As it was, the time in between the battles seemed very rushed. Even though Heaven’s Devils isn’t any shorter than most of the other StarCraft novels, it felt like a short story. 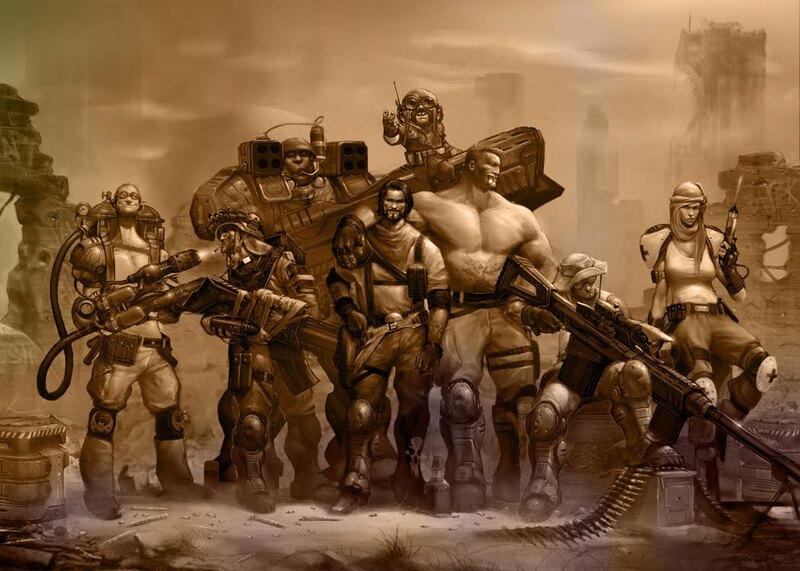 Most of the characters were very shallow stereotypes, and even Raynor and Tychus seemed to be merely reflections of what was in the game. For a novel that was supposed to provide insight into how these characters grew into the heroes that we know and love, there was surprisingly little development. Both men seemed to spring into the universe with all the skills they needed to succeed, with little to stop them along the way. The overall story was very predictable as well, but it worked reasonably well despite that. Even though I knew what was coming next, I still wanted to read about it. With a story like this, it’s bound to sit within a formula, but the sign of a great novel is how it manages to twist that formula to subvert your expectations, and unfortunately that never happened here. I feel that if the novel had been longer and taken the time to develop the characters so they felt as interesting as the world they inhabited, the novel would have been much more interesting. Overall, while I enjoyed the novel I couldn’t ignore its problems. A large part of the enjoyment came out of my attachment to the universe, and the little tidbits that were thrown in there for readers like me. Without the masses of lore to back it up, Heaven’s Devils would be a very forgettable book. If you’re a fan of the universe, it’s worth a read, but otherwise there are far better examples of tie-in fiction to choose from. What I Liked – Great battle scenes. Some interesting side stories filling out the world. Great use of the universe. What I Didn’t Like – Very predictable. Shallow characters. Felt like a short story.